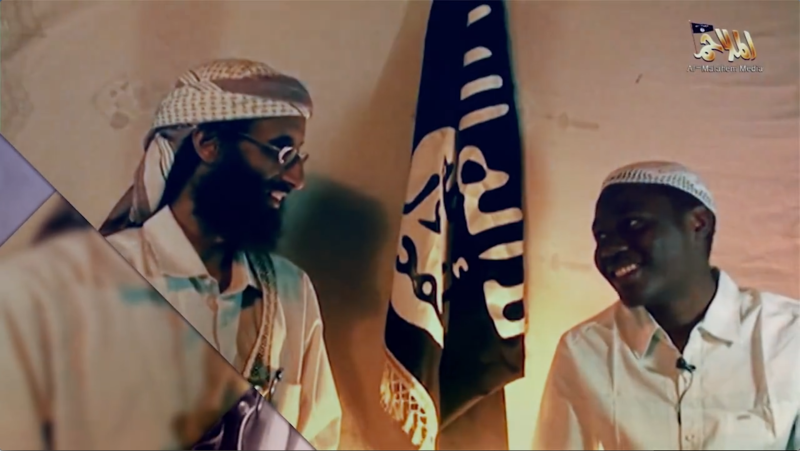 Shabaab, the terrorist and insurgency organization based in Somalia, continues to market its allegiance to al Qaeda. 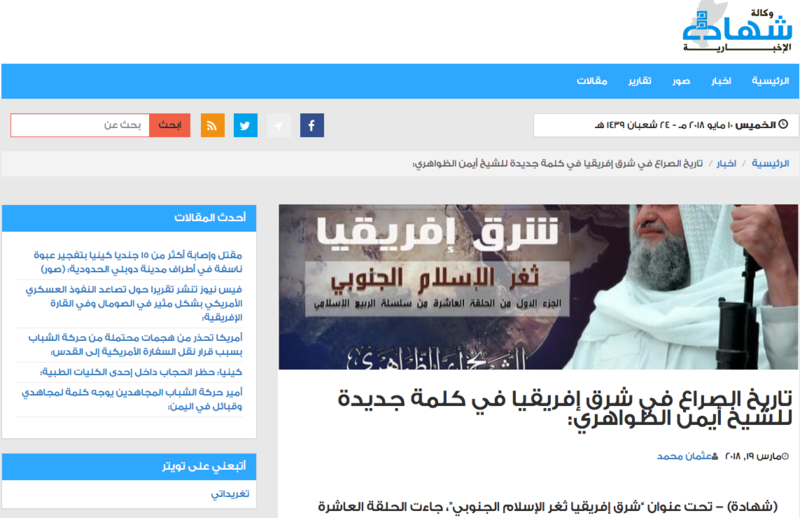 Shabaab’s propaganda arm, Al-Kata’ib Media, has released several videos since late April that underscore the group’s fealty to al Qaeda’s senior leadership and its adherence to al Qaeda’s ideological platform. 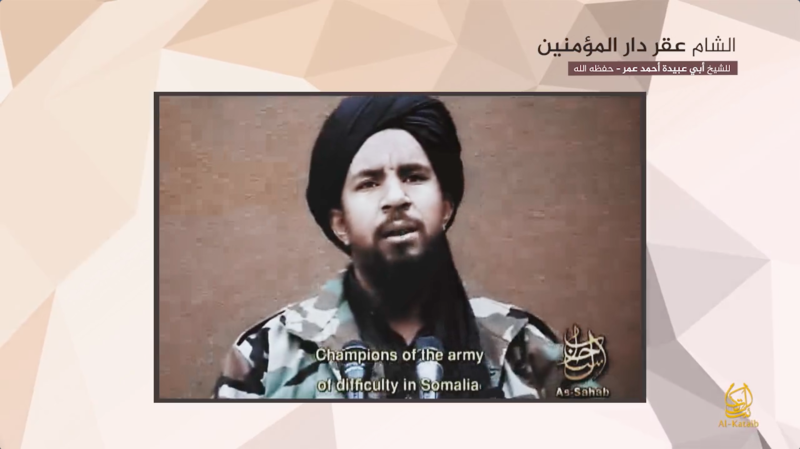 Two of the productions featured lengthy audio messages from Shabaab’s emir, Abu Ubaydah Ahmad Umar, a shadowy figure who is not normally so chatty. Abu Ubaydah affirmed his own allegiance to Ayman al Zawahiri in Sept. 2014, when he assumed the organization’s top post. And Shabaab has continued to market its allegiance to al Qaeda in the years since then. But the new messages are noteworthy. Abu Ubaydah refers to Taliban emir Hibatullah Akhundzada as the “Commander of the Faithful,” a title usually reserved for a Muslim caliph. 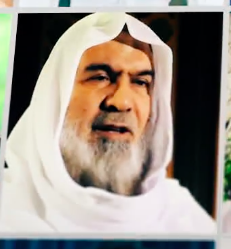 And he describes Zawahiri as the “father-emir.” Abu Ubaydah’s choice of honorifics demonstrates that he, like other al Qaeda leaders, endorses al Qaeda’s ongoing alliance with the Taliban. Zawahiri has pledged his own bayat (an oath of allegiance) to Akhundzada and Abu Ubaydah continues to respect this arrangement. Moreover, Abu Ubaydah’s messages may indicate that he is taking on more of a leadership role within al Qaeda’s global network. Both of his speeches are directed at jihadists elsewhere, in Syria and Yemen, not at his own followers in Somalia and East Africa. Indeed, Abu Ubaydah goes so far as to provide advice to the mujahideen in Syria who are currently embroiled in a controversy over leadership and other matters. On Apr. 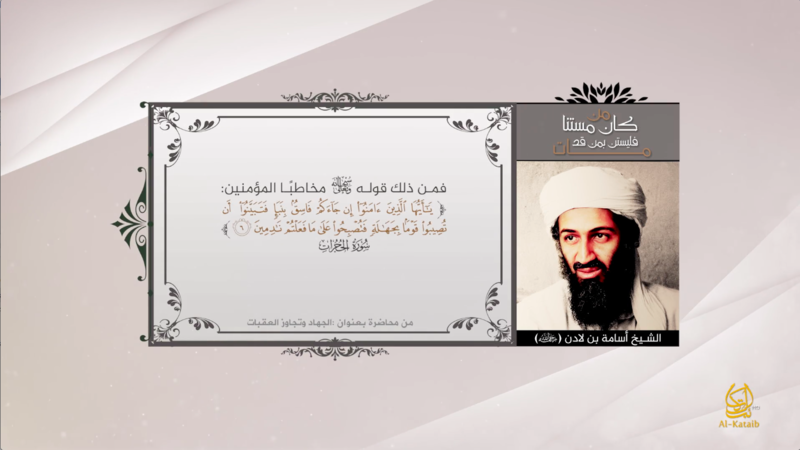 23, Al-Kata’ib Media released a nearly 30-minute speech by Abu Ubaydah. Despite speaking throughout much of the production, titled “Sham is the Home of the Believers,” Abu Ubaydah did not show his face. This is not unusual. The normally reclusive Shabaab emir has obscured his appearance since he succeeded his predecessor in Sept. 2014, preferring to be heard, but not seen. 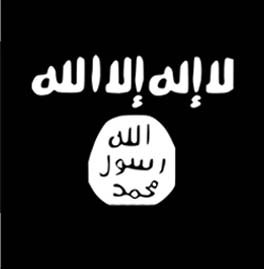 “To begin with, I salute the lions of jihad everywhere,” who are “determined to defend and preserve Islam in the nations all throughout the world, foremost of whom are the mujahideen of the Islamic Emirate [of Afghanistan]…led by the Commander of the Faithful Mawlawi Hibatullah [Akhundzada], may Allah preserve him,” Abu Ubaydah said. He then saluted “our father-emir” Ayman al Zawahiri, as well as the “mujahideen of the Indian Subcontinent” and the emirs of Ansar al-Sharia in Yemen (Qasim al-Raymi, also known as Sheikh Abu Hurayrah al-San’ani) and Al Qaeda in the Islamic Maghreb, Abu Musab Abdel Wadoud (a.k.a. Abdelmalek Doukdel). 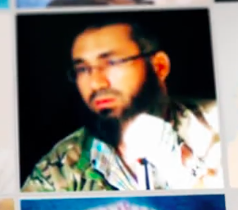 Abu Ubaydah also honored the mujahideen in the Caucasus, the Levant, Eastern Turkistan and elsewhere around the globe. Notably absent from his roll call was Abu Muhammad al-Julani, the emir of the al Qaeda branch formerly known as Al Nusrah Front. Al-Julani’s decision to rebrand his organization and then form a new entity, Hay’at Tahrir al-Sham (HTS), has been at the center of controversy within jihadist circles, with some of his rivals in Syria accusing him of breaking his bayat (oath of allegiance) to Zawahiri. A significant portion of Abu Ubaydah’s speech is devoted to the infighting and disagreements that have emerged as a result of al-Julani’s moves and other problems. For this reason, Abu Ubaydah advises the jihadists in Syria to “forget” their “internal differences” and fight the “infidels” as a “solid structure.” He reminds listeners that different “types of people,” with varying perspectives, have been called to jihad. 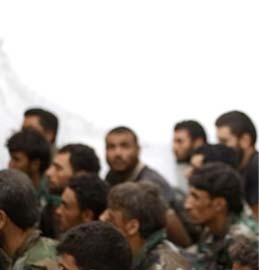 And the war in Syria should be open to all Muslims, including those from neighboring countries, as it is not restricted to any one “group,” or “faction.” Still, while “all Muslims” should be eligible to participate, the jihadists should be wary of those who are whimsical in the practice of their religion, as well as those who are too willing to make concessions and bargain. Abu Ubaydah reminds listeners that Turkey supports the internationally-backed government in Somalia, and has also participated in NATO’s war in Afghanistan. Because Turkey supports these war efforts against the mujahideen, Shabaab’s chieftain argues, it should not be trusted in Syria. In fact, Abu Ubaydah calls upon leading scholars to expose Turkey’s supposed “treason” and “crimes” against Muslims. 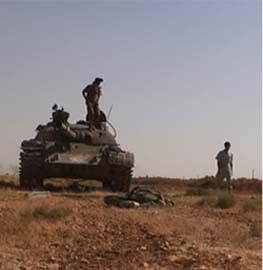 Ideologues in Syria and elsewhere have intensely debated the jihadists’ relationship with Turkey. While some have argued that the jihadists should be accommodating, others have insisted that an alliance with Turkey leads down a path of treachery. 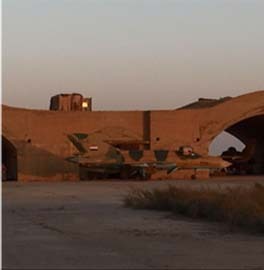 Abu Ubaydah clearly places himself in the latter camp. Abu Ubaydah encourages his “brothers” in Syria to follow in the footsteps of al Qaeda’s leaders, as well as Taliban founder Mullah Omar. 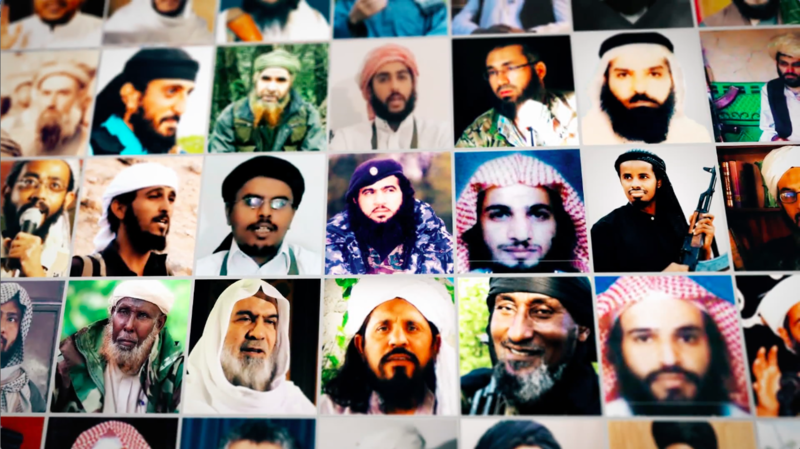 Abu Ubaydah credits these al Qaeda leaders with awakening the ummah “from its slumber,” leading many young Muslims to join the jihad both in their home countries and abroad as “muhajirin,” or emigrants. In addition to the 9/11 hijackings and the 1998 U.S. embassy bombings, he specifically mentions al Qaeda operations in Mogadishu, Somalia and Aden, Yemen in the early 1990s as victories against America. He claims the “Crusader army” has been “defeated” in the “arenas of jihad,” including Afghanistan and Iraq. 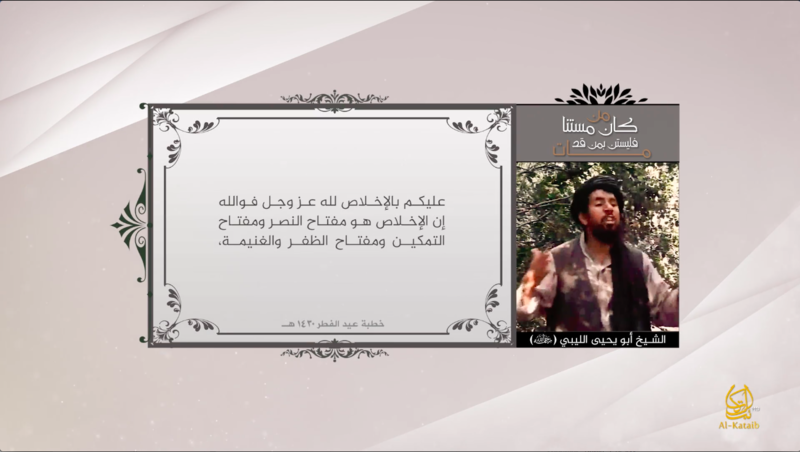 Al-Kata’ib’s video accompanying Abu Ubaydah’s speech ends with a clip of Abu Yahya al-Libi exhorting al Qaeda’s followers in Somalia. This clip was undoubtedly chosen to further emphasize Abu Ubaydah’s warning concerning the jihadists’ dependence on nations such as Turkey. Although Abu Ubaydah has recorded relatively few messages since his ascension to Shabaab’s top post in 2014, he quickly released another speech just over one week after he addressed the Syrian jihadi scene. 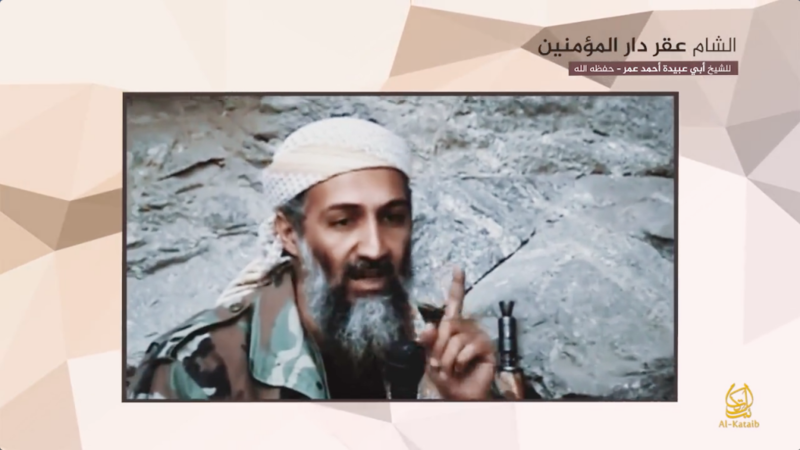 In this second faceless speech, posted online by Al-Kata’ib Media on May 1, Abu Ubaydah sought to encourage al Qaeda in the Arabian Peninsula and its supporters in Yemen. Once again, the production was filled with al Qaeda references. The accompanying video opened with footage of AQAP’s operations, as well as those of its obvious front group, Ansar al Sharia Yemen. 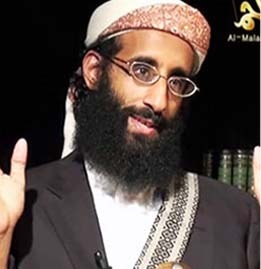 Several clips show AQAP ideologue Anwar al Awlaki with: Umar Farouk Abdulmutallab (who attempted to blow up a Detroit-bound airliner on Dec. 25, 2009), Nasir al-Wuhayshi (the deceased AQAP leader), al-Wuhayshi and Said al-Shihri (a former Guantanamo detainee who was AQAP’s deputy emir prior to his death), and several AQAP figures at once. 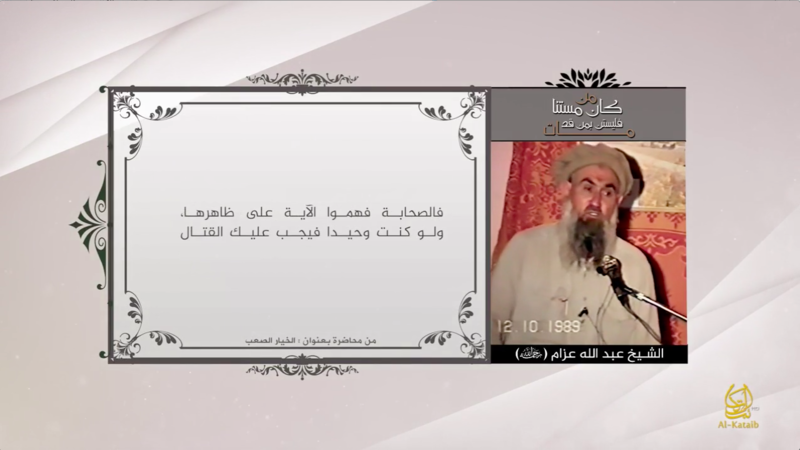 Shabaab also includes footage from the Jan. 2015 attack on Charlie Hebdo, which AQAP helped orchestrate. After praising AQAP at length, the Shabaab emir explains that “hardship” is a divine test and leads to purification. Indeed, Abu Ubaydah says, “affliction is necessary.” A similar formulation has been used by others in al Qaeda and their Islamic State rivals when suffering setbacks. 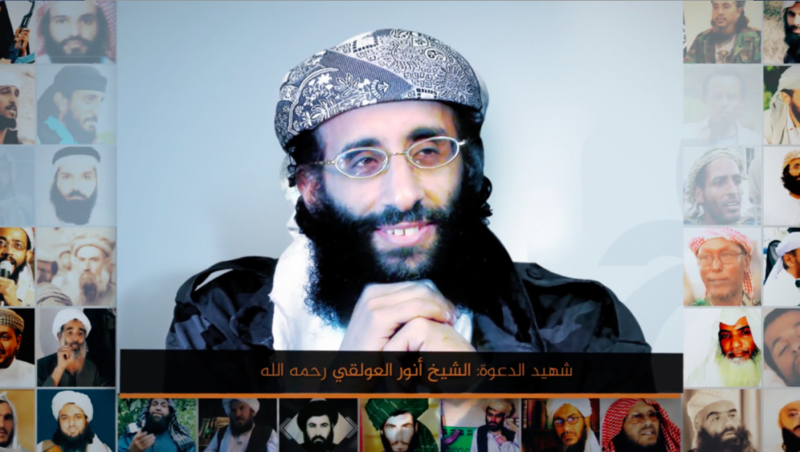 The Shabaab emir seeks to encourage AQAP’s rank and file as they face a multi-sided war. “The purpose of your jihad,” Abu Ubaydah says, is to force all of the “occupying” powers “from your land,” including the House of Saud, the “apostate” United Arab Emirates (UAE), the “rejectionists” (meaning Shiites and specifically the Iranian-backed Houthis), as well as the “apostate American agent” President Hadi. This is a “difficult” task, Abu Ubaydah concedes, but he implores his “mujahideen brothers” to increase their offensive operations by staging “ambushes,” “implanting mines,” conducting assassinations, and deploying “martyrdom-seeking operations” against the enemies’ defensive positions. He advises that protracted “guerrilla wars” are a great benefit to the “oppressed,” because they “drain” the enemy. 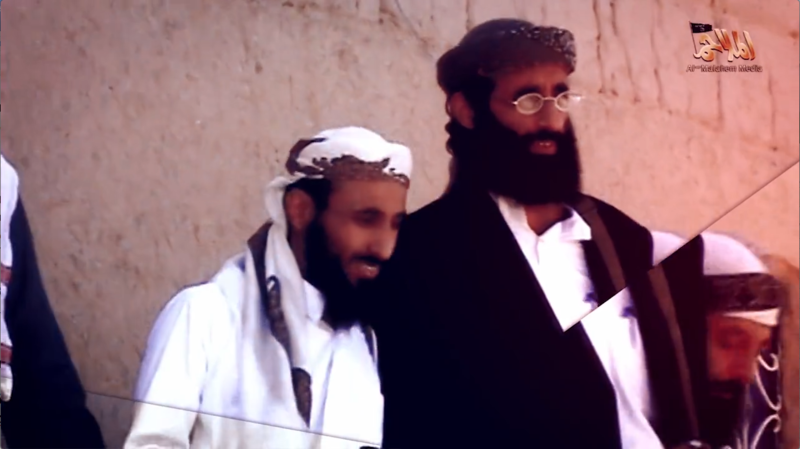 Abu Ubaydah also addresses the tribes of Yemen, noting that Abdullah Azzam, widely considered the godfather of modern jihadism, had praised the country’s tribesmen. He then calls on Yemen’s tribes to support the mujahideen – their “sons” – with “money, weapons and men,” because the jihadists are supposedly making “great sacrifices” for their shared cause. 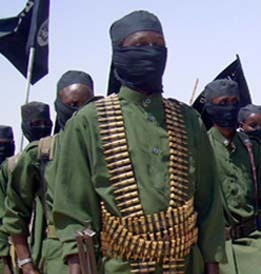 The Shabaab leader concludes his message by honoring the “leaders” and “soldiers” of jihad in the Arabian Peninsula, saying they have made “sacrifices” for the purpose of “elevating the word of Allah and implementing his sharia.” He specifically mentions deceased AQAP figures such as Nasir al-Wuhayshi, Said al-Shihri, Anwar al-Awlaki, Ibrahim al-Rubaysh (a former Guantanamo detainee who became a key ideologue) and Harith al-Nadhari, among others. Abu Ubaydah prays to be reunited with them in paradise. Each episode in the series opens with a montage of jihadists who have been killed through the years, including those who have perished in American drone strikes. Three of the jihadi veterans pictured were killed in Syria: Ahmed Salama Mabrouk, Rifai Taha Ahmed Musa, and Abu Abdullah al-Muhajir. Another man pictured is Mohammed al-Zahawi, the founder of Ansar al-Sharia Libya, an al Qaeda-linked group that took part in the Sept. 11, 2012 attack in Benghazi. Dozens of other images are included as well. But the main footage is of Abdullah Azzam decrying those who flee from the fight or abstain from jihad, arguing that they do not have valid “excuses in the sight of Allah.” The title of the Shabaab series, and the subtitle for the first episode, are taken from Awlaki’s and Azzam’s quotes. The second episode, subtitled “Verify and Discern the Truth,” was released on Apr. 26. 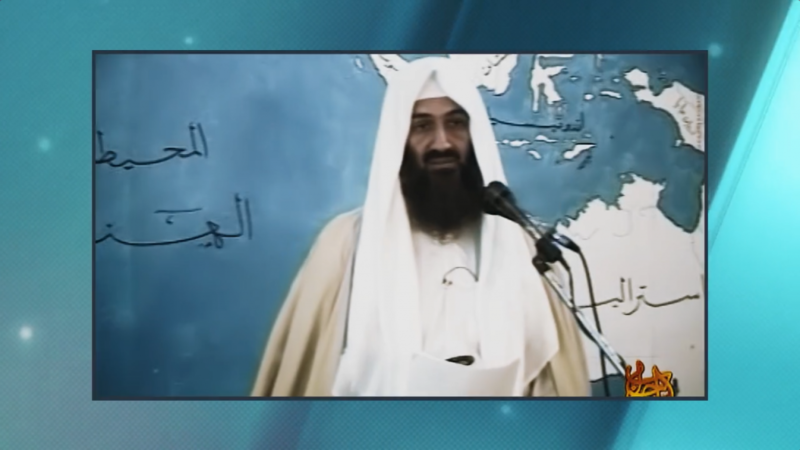 The main segment in the video is from one of Osama bin Laden’s lectures, in which he warned followers to avoid rumors and explained that they should ascertain the veracity of any news delivered to them. Similar quotes from others were included to buttress the point. The third installment, subtitled “Sincerity,” was posted online on May 6 and features a lecture by Abu Yahya al-Libi, who stressed the importance of “loyalty” to the cause of Allah. Al-Libi warned the mujahideen that they “should not fight for ignorance,” or nationalist reasons, or to merely support a group or emir. Shabaab is clearly not running away from its al Qaeda heritage or role. 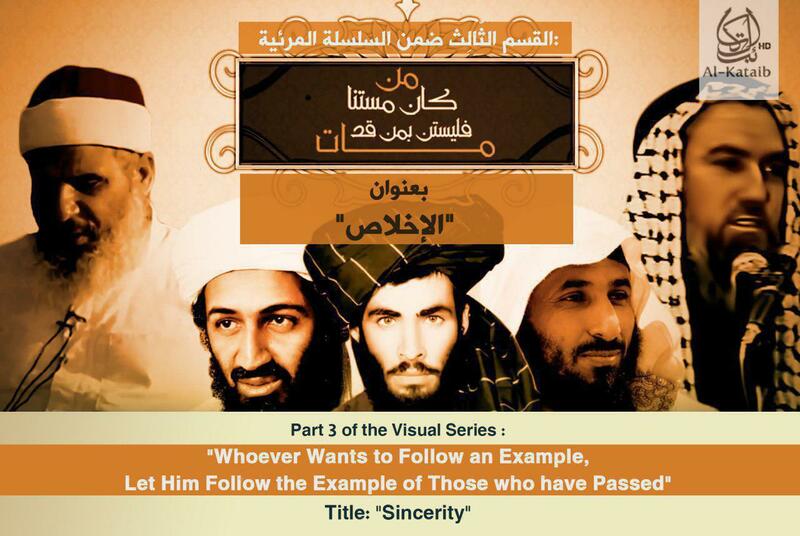 Instead, Abu Ubaydah’s organization is embracing it.